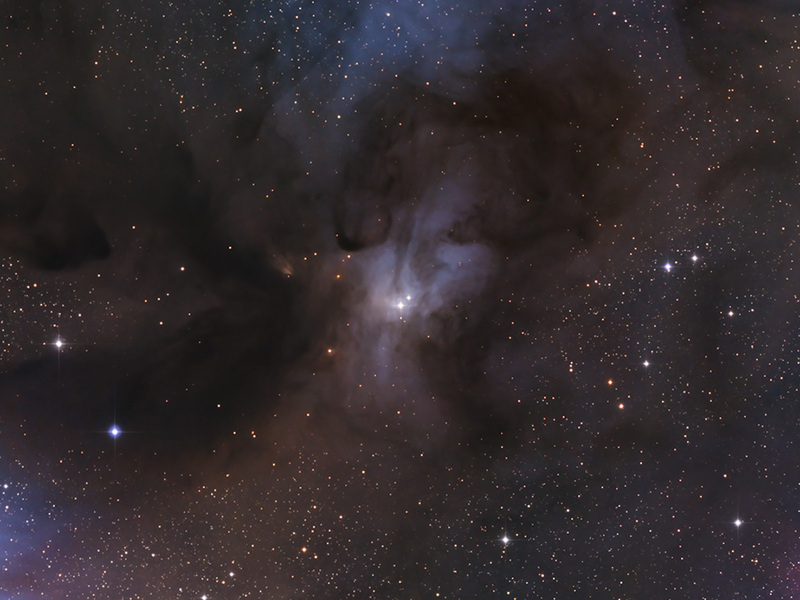 A detail from the previous image of the Rho Ophiuchi complex. Click here for a higher-resolution version. Image mosaic made wih an 11-inch Schmidt-Cassegrain telescope at 560mm focal length and astro-modified DSLR camera.